We have lost in information? I found myself in an odd place, odd for me, that is. One of my poems was recently collected in an anthology of “elder” poetry, included in what the editors call a community of verse. Thing is, I never thought of myself as old. I’m thinking I can climb mountains and dig ditches, sing and dance and show my underpants! The reality is I’m getting mail offering half-off on cemetery plots, with the warning that it’s never to early to plan ahead. Writer Virginia Woolf once noted that “One of the signs of passing youth is the birth of a sense of fellowship with other human beings as we take our place among them.” So, guess I’ve arrived at that place of fellowship. Don’t know how old Virginia was when she wrote about passing youth, but regret she never took her place in the community of elders. At age 59, depressed and despondent, she filled the pockets of her overcoat with stones, waded into the River Ouse and drowned herself. 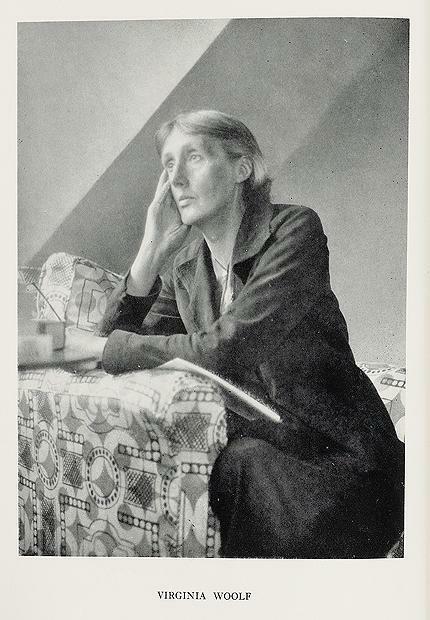 We still have her books—my favorites are Orlando and Mrs. Dalloway—but we didn’t have her for as long as we might have wished. Just imagine what wonders she might have produced in her 70s, 80s, even 90s! Should one pray, deposit or buy gas? Purposely re-discovering aging as ascent not decent. 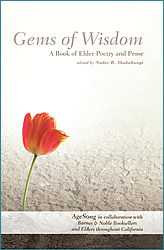 Gems of Wisdom is a collaboration with Barnes & Noble Booksellers and elders and poets throughout California to benefit AgeSong Institute, which is redefining elder living and care. The book honors those who’ve lived long enough to attain culturally cherished virtues—patience, humility, courage and compassion. Order copies from online booksellers, $11.95.